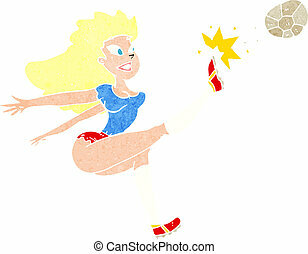 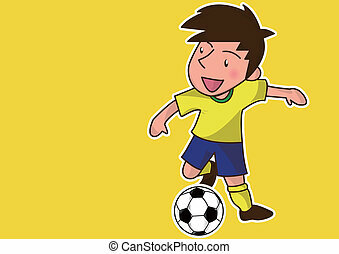 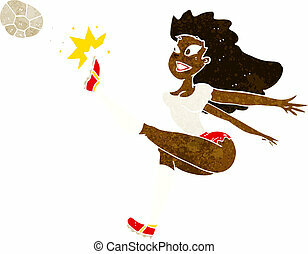 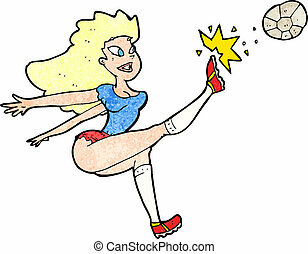 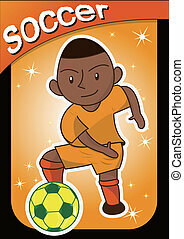 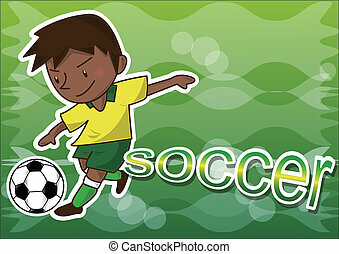 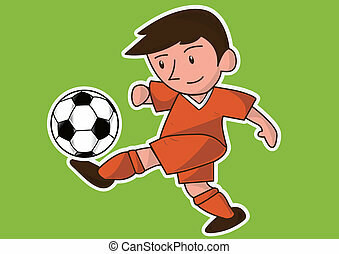 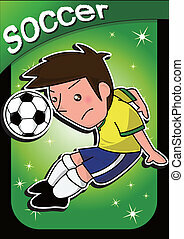 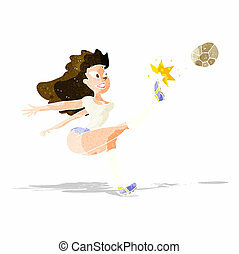 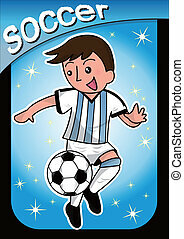 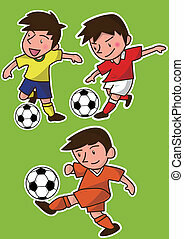 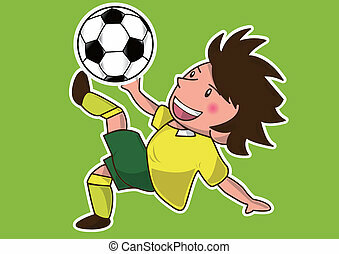 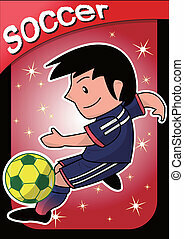 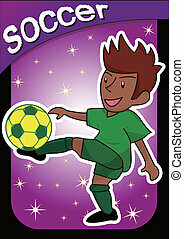 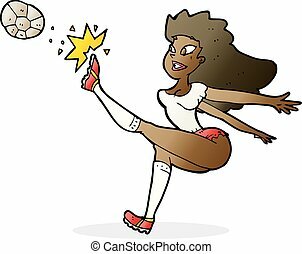 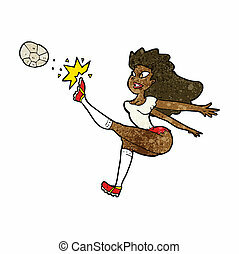 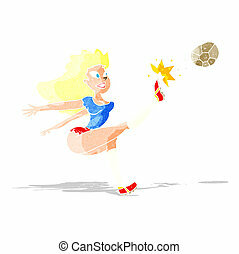 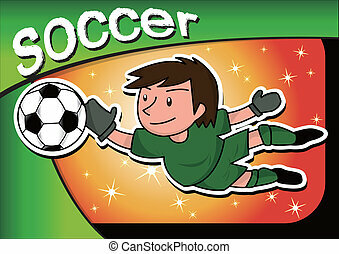 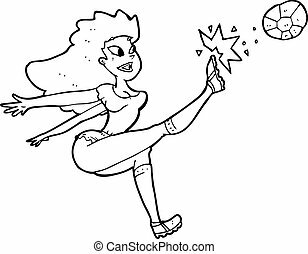 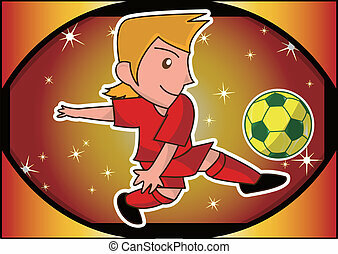 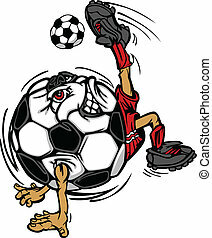 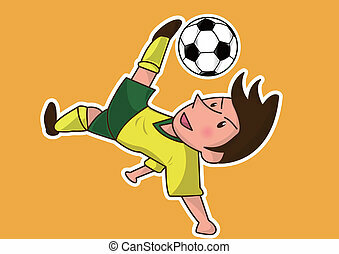 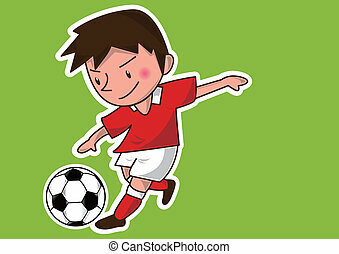 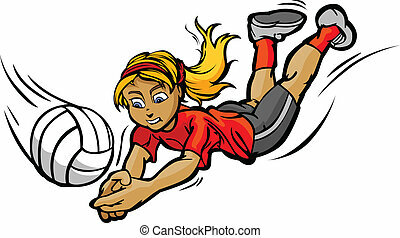 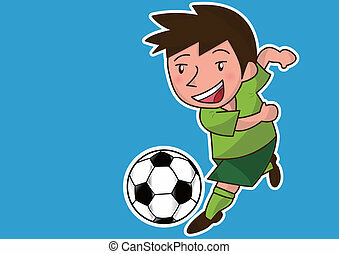 Cartoon soccer player kicking ball. 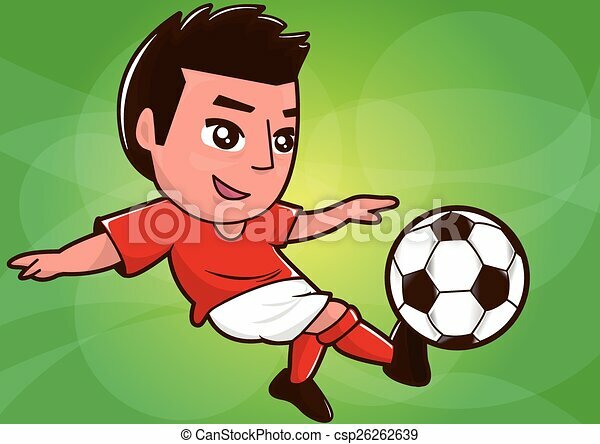 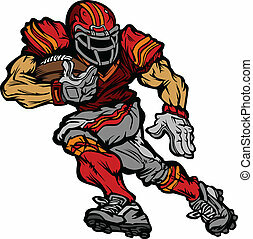 Cartoon soccer player kicking the football. 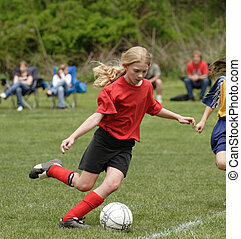 Youth Soccer player ready to kick soccer ball on field during game.